Strategic Transport Assessment solves access problems to unlock development potential. Bounded by the River Soar and the Grand Union Canal, which together create a peninsula, Wolsey Island in Leicester is accessed by a single road, an arrangement that potentially limits development. The Strategic Transport Assessment (STA) looks at ways of creating another access and delivering a phased masterplan for 600 new homes. Demonstration of the traffic impact of development on local roads, and identification of any physical changes required to accommodate additional cars. Fore developed an innovative access strategy that would allow each development plot to come forward independently whilst ultimately providing the new accesses and spine road required to build all 600 homes. Traffic impacts were tested using an Aimsun microsimulation model and demonstrated that despite congestion on the highway network, the development would not severely affect local roads. 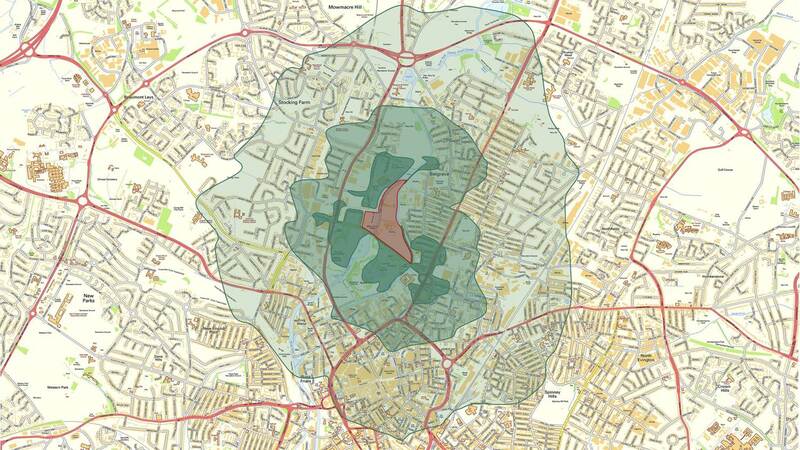 Travel Plans for the whole area and for individual developments will promote sustainable transport and reduce car use. The STA will be used as a framework for the Transport Assessment of individual development plots as they come forward.